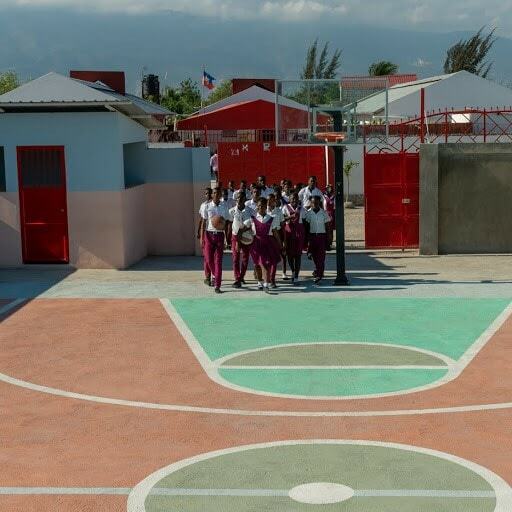 Last year we built a new sport court at the Andrew Grene High School. This year, our basketball hoop will be featured in a photographic exhibition in Washington DC! 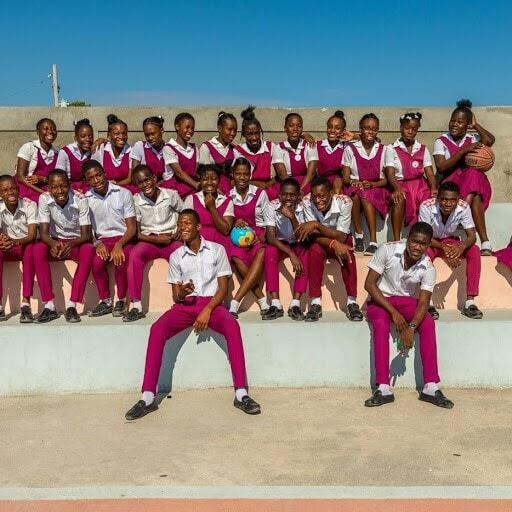 Back in 2017, we purchased an area of wasteland just opposite our main school site in Cite Soleil. Fast forward to September in 2018, after plenty of fundraising, planning and demanding work, we transformed the land into a multi-purpose sports court. 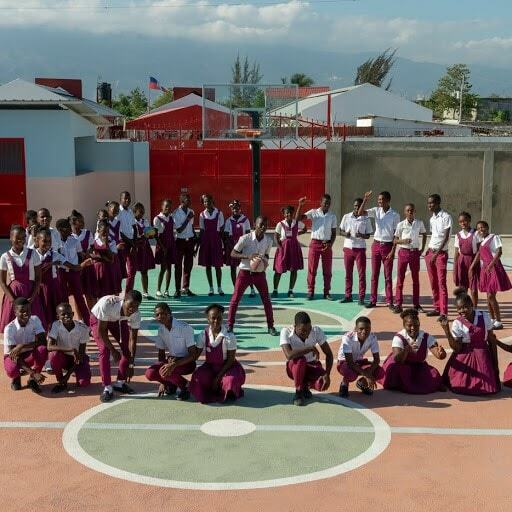 Before the sports court unveiling, the students only had the space outside the classrooms to play games in. There were no benches, balls or dedicated space for the children to have fun. Thanks to everyone involved turning the sports court plan into a reality, students now have a purpose built court for playing sport! The court features: perimeter walling for safety, spectator bleachers, painted court marking and basketball hoops. Read the full story on building our new sports court. 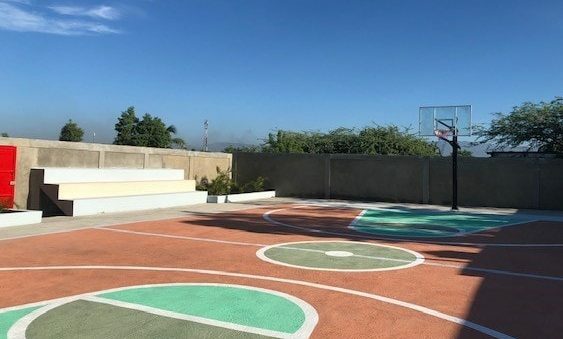 On the topic of basketball hoops, Bill Bamberger Jr recently visited our school and newly built sports court, with a particular interest in our basketball hoop! Bill Bamberger Jr travels extensively around the world, photographing basketball hoops in many forms and landscapes – this has helped him to see and better understand the world we live in. His work also explores the different cultural and social issues of our time. See more of Bill Bamberger Jr’s work. This unusual, yet very interesting perspective led him on his travels to the Andrew Grene High School. As part of Bill Bamberger Jr’s collection, our school hoop will feature in his prestigious exhibition at the National Building Museum. 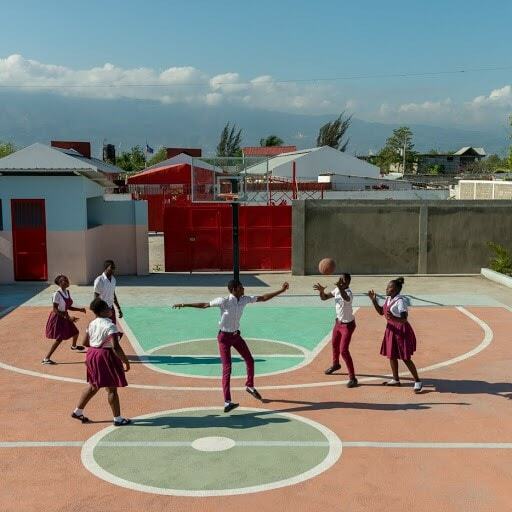 “I truly enjoyed my trip to Port-au-Prince to photograph the basketball court at the Andrew Grene Foundation School for the exhibition on display at the National Building Museum in Washington DC. 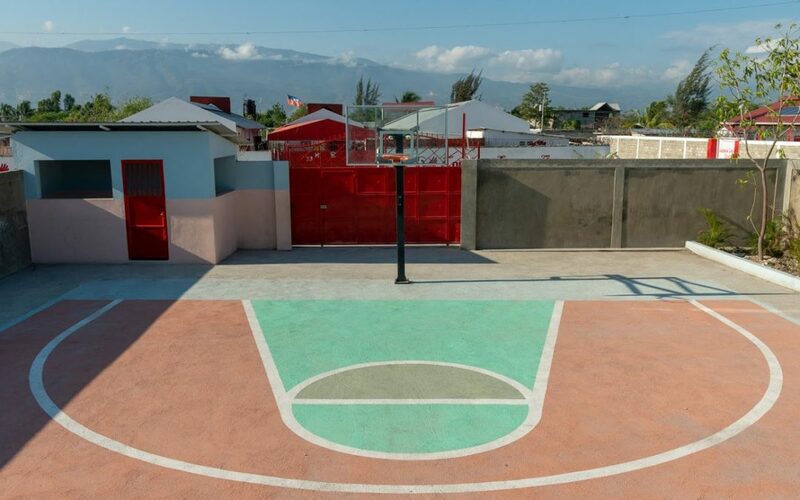 “The sports court is beautifully designed and built, a true gem for the school and the community. But what struck me most about the visit was the energy, warmth and intelligence of the students who hosted me during my visit to the school. We are sure you will agree that his photos are stunning.